Still from the '27 silent film of Uncle Tom's Cabin. The slave Eliza bites evil Simon LeGree. This was obviously taken on the real Kate Adams, not the "mock up" in California. You can see some rigging on the top deck that was apparently not reproduced on the set. 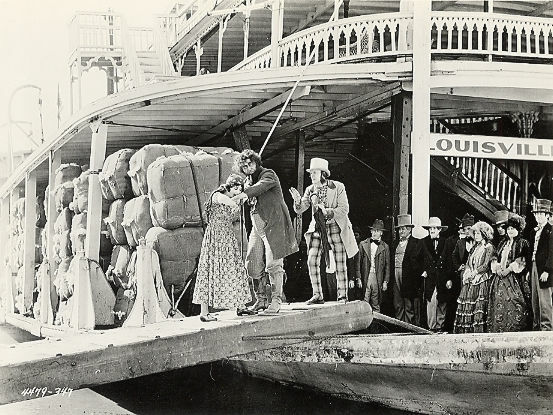 In the fall of 1926 the last Kate Adams became "La Belle Riviere" for a silent film version of Uncle Tom's Cabin. 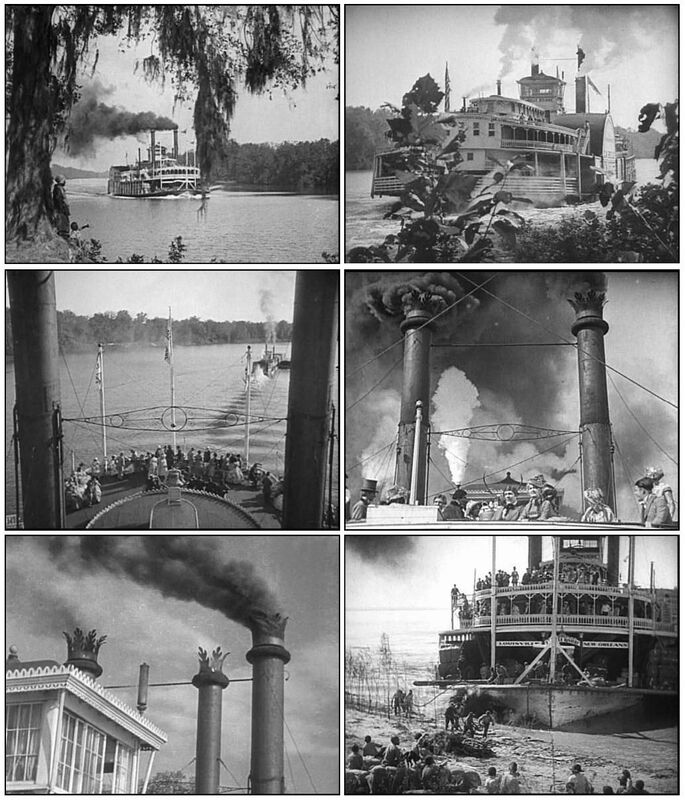 Filming was done on the Ouachita and Black rivers in Louisiana. In January of 1927 the Kate Adams burned at Memphis. That may have been the reason this set of the forward section of the Kate was built on a back lot in California. A lot of the action took place here and they may not have completed filming before the Kate was destroyed. The rubber stamp on the back of this photo post card said ROSSLYN PHOTO STUDIO / LOS ANGELES, CALIF. It was pretty amazing to find this at a post card show. 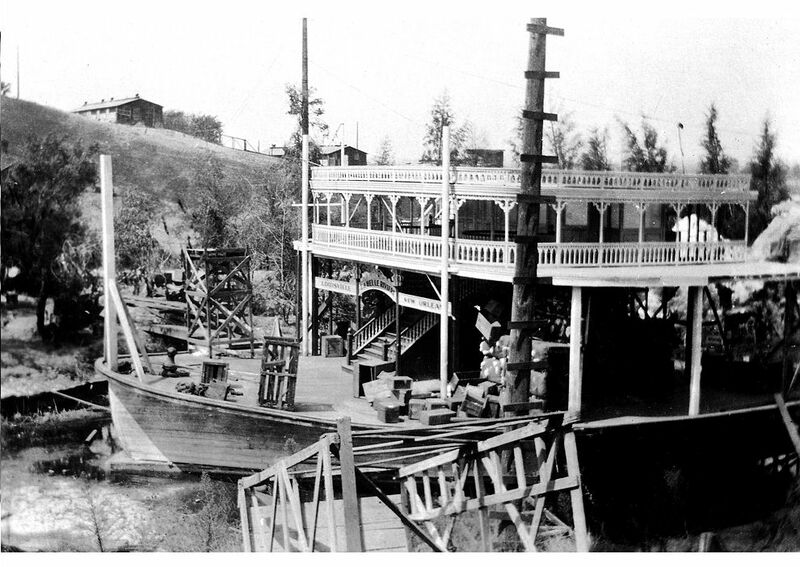 Had never heard that a recreation of the boat had been built during any phase of the production of the movie. More stills from Uncle Tom's Cabin below. 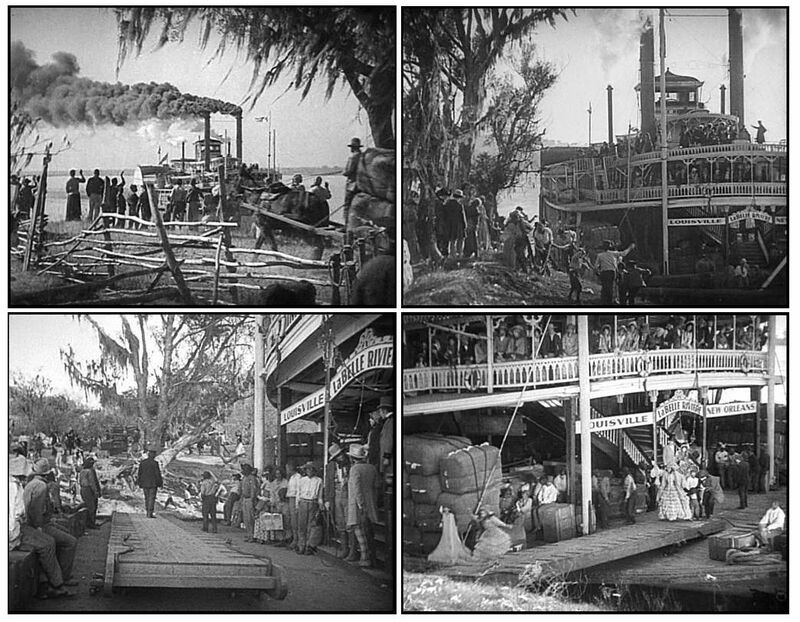 The stacks appear to be hinged to get under bridges which is an anachronism and the sternwheel towboat may be a bit ahead of its time too, but this movie had the most impressive boat to work with compared to later ones where the boats were smaller or had lots of alterations which plainly made them out of place and time but the movies are seldom made for devotees with specialized knowledge. 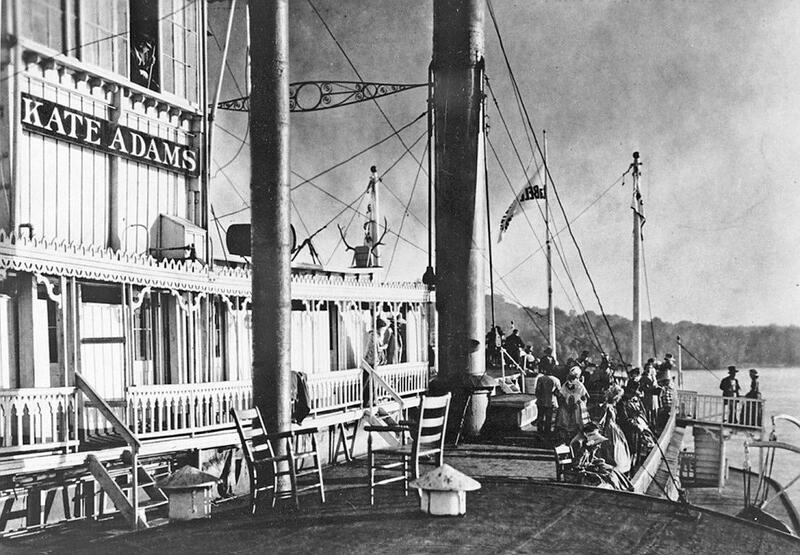 A worthwhile detail of the KATE ADAMS as "La Belle Riviere" in UNCLE TOM's CABIN from photo at La Crosse that can go on that page in "The Movies." An original cabinet print of the image exists that is embossed in the lower margin E.D. HAMSON PHOTO CO., ST. LOUIS. 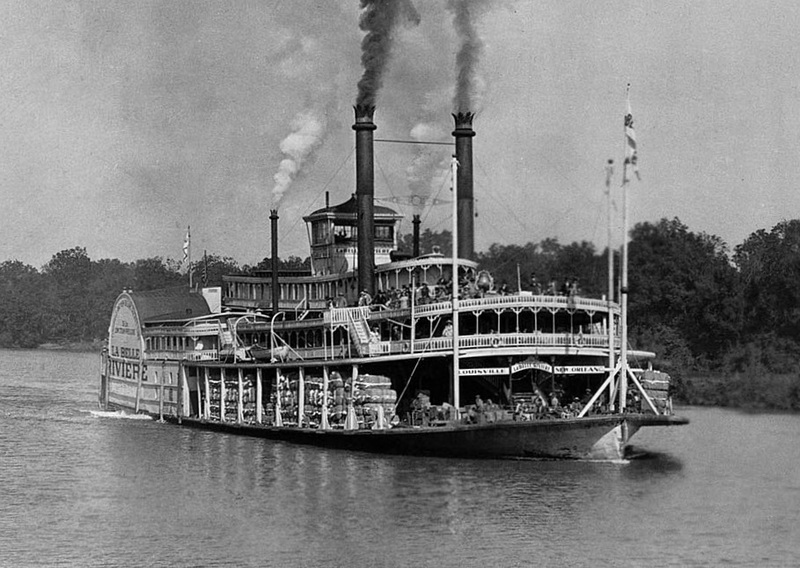 KATE ADAMS in the Fall of 1926 bearing her own name and the fictional name LA BELLE RIVIERE that she was given from Harriet Beecher Stowe's novel UNCLE TOM's CABIN when it was filmed on the Ouachita and Black rivers. 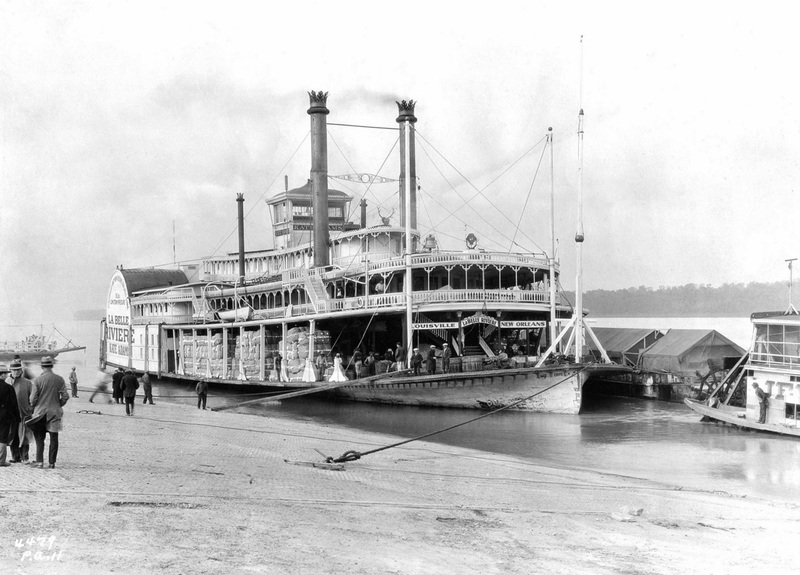 Have determined that the sternwheeler on the far right was almost certainly the towboat JEWEL (1902 - 1934).